Our business is family owned and operated. We are responsible for providing outstanding repair services for all types of clocks. We understand each clock we repair has a unique story; some clocks are family heirlooms that have been passed down for generations, and others are clocks that just need some TLC. Kasson is a short 15 minute drive west of Rochester, Minnesota. We have a showroom displaying 100+ new and antique clocks. 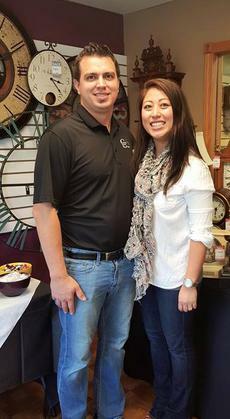 You may also bring your clock in for a FREE estimate by Chris, our 3rd generation clock technician. We also warehouse hundreds of clock parts - if you lost a clock hand, or you misplaced your clock winding key, stop in! We travel all over servicing clocks as well as repair clocks from all across the U.S. We accept all clocks in all conditions and are confident we can fix your clock!